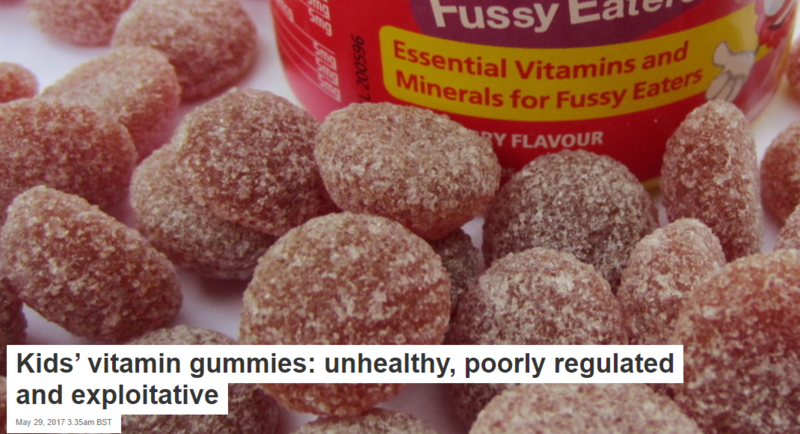 Kids’ vitamin gummies: unhealthy, poorly regulated and exploitative: There are many brands of kids’ “gummies” on the market, but these products are unhealthy and exploitative. Their high sugar content may appeal to young children, but they’re not a good introduction to a healthy diet. Edith Cowan Uni Bans Crystal Healing Training Seminars: Edith Cowan University has decided to ban training seminars on crystal healing from its campus. The seminars have been running on the university grounds since 2011, and the next was due to take place on June 25. Doctor rebuked over ‘spiritual healing’ group touting ‘esoteric breast massage’: Authorities say Samuel Tae-Kyu Kim failed to disclose his involvement in Universal Medicine when inappropriately referring a patient to devotees of group. Quackery for Kids: A brief rant and a few random observations on quackery for kids. New Evidence for Chondroitin:The dietary supplements chondroitin and glucosamine, separately or in combination, have been widely used to treat the pain of osteoarthritis of the knee. But do they work? Spirit healing, yoga and soul counselling: Companies are billing the NDIS for ‘alternative medicine’ – and it’s costing taxpayers $22 billion: Companies offering horse whispering, yoga and spiritual healing to the disabled. Olivia Newton-John, cancer and alternative medicine: Olivia might have learnt a lesson the hard way when her initial breast cancer did not respond to homeopathy and acupuncture. Explainer: what is chemotherapy and how does it work? : Chemotherapy is the use of drugs to treat cancer in humans and animals. It works by causing cancer cells to undergo a type of forced suicide, called apoptosis. How to Fight Cancer (When Cancer Fights Back): Understanding how the disease evolves is the key to stopping it. Six ways your pet can boost health and well-being: Your pet could be doing wonders for your health and well-being. German parents face hefty fines for not vaccinating their children under a new law aiming to tackle a measles epidemic spreading across Europe: Kindergartens will be forced to report parents with no evidence of vaccination.